Free Comic Book Day is only 2 weeks away! 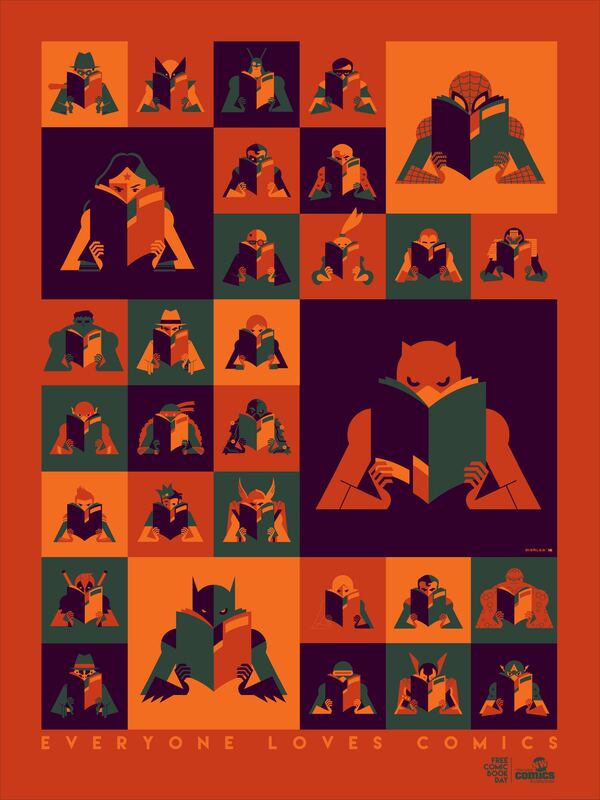 Local artist, Tom Whalen, designed the above poster exclusively for New Wave Comics this year. You can pick yours up for $25 during FCBD & Tom will even be around to sign copies. Quantities are extremely limited — only 100 prints will be available, so get into the shop early! Check out our previous post for a schedule of all FCBD events.